See how Naomi was eager to find a redeemer for her daughter-in-law Ruth? She provided Ruth with clear instructions for how she could be redeemed. Our task is little different, though we point to the Redeemer who is nearer to all of us than Boaz was to Ruth. Specifically, we are to set an example for others “in speech and conduct, in love, in faith, in purity.” By reading the Scripture publicly, preaching, and teaching the nourishing words of the faith, we direct others to our hope in the living God. Our hope does not disappoint (Rom 5:5), so we may confidently and clearly direct others to Jesus who will indeed redeem them. This is why he came to earth and finished the course of his mission to save. 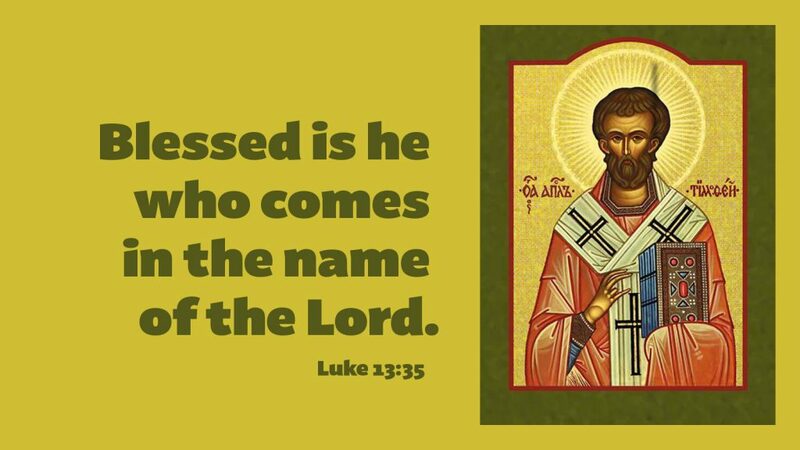 Blessed are we who come in the name of the Lord. For by devoting ourselves to these godly duties, we save both ourselves and our hearers. And blessed are those who hear and heed our message, for they will uncover their Redeemer. Prayer: Father, Son, and Holy Spirit, help us to proclaim you with steadfast faith and hope. Amen.